Urville and Diana taking pictures together on the market. 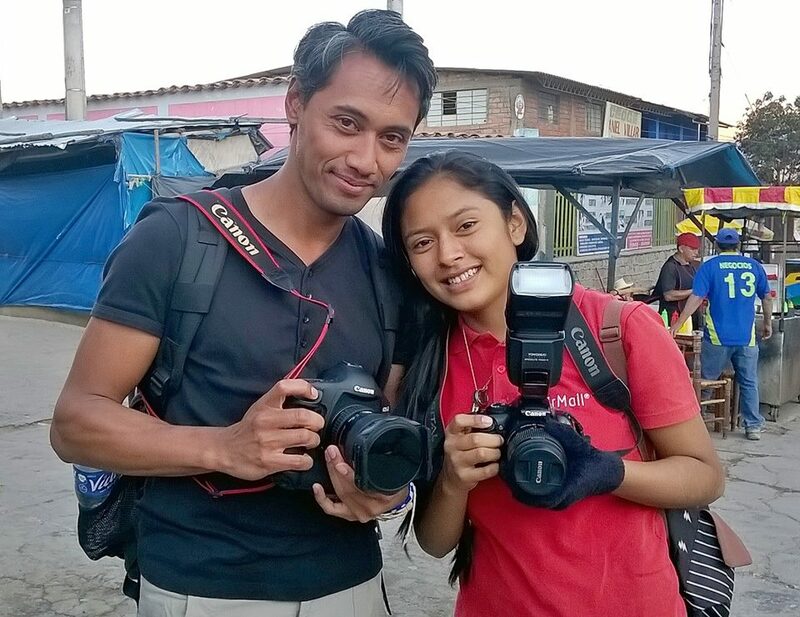 “A unique opportunity to practise your hobby at the most fantastic locations, together with special people while being able to share your personal knowledge and experience with the most special people of all: the FairMail teenagers.” is how past participant Roel from the Netherlands describes his experience travelling with the Peruvian FairMail teenagers last month. To find out if FairMail’s photography trips would be just as much fun for you as they were for Urville and Roel, we are organizing an information session on Saturday the 10th of October 2015 from 15.00 to 17.00 in Amsterdam. If you are interested contact us here. Check out some of Urville and Roel’s pictures of their trip with FairMail here.